They are available in several core designs such as two rows of either 1 inch tubes, two rows of 1 1/4 inch tubes or two rows of 1 1/2 inch tubes. All Griffin radiators can be ordered with an aluminum fan shroud, electric cooling fan, thermostatic fan control and even an A/C condenser. The radiator can be polished as well as the optional fan shroud. 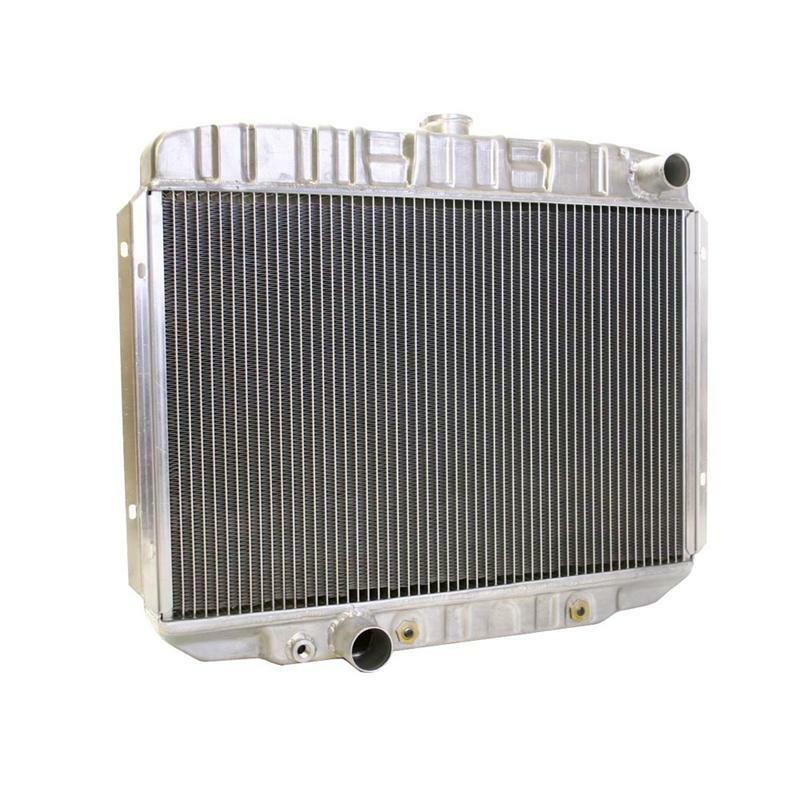 An internal automatic transmission cooler can also be built into the radiator. This particular radiator can be ordered in a variety of configurations to suit your cooling needs and your budget.